Supply of drums, overpacks, vermiculite, absorbents, etc. for waste packing and removal. Compressed gas cylinders and aerosol recycling. Sumas maintains and operates a fully permitted neutralization system at its Burnaby facility. The facility neutralizes acids/alkalines, followed by metal precipitation, sludge dewatering and stabilization. 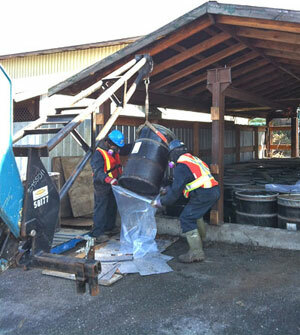 Sumas maintains and operates a fully permitted water treatment system at its Burnaby facility. 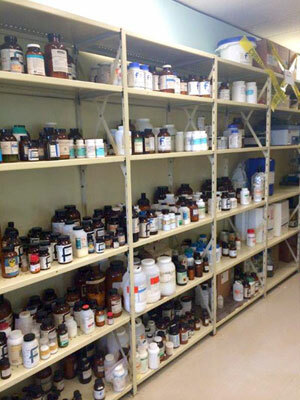 The Burnaby water treatment system can effectively treat and remove a variety of contaminants from hydrocarbons to heavy metals in water and wastewater. 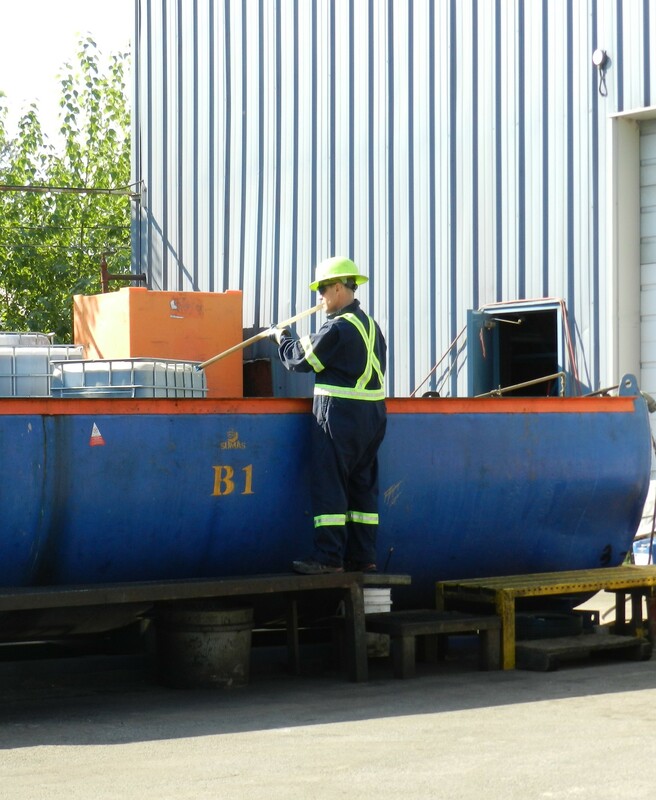 Sumas provides our clients with competitive pricing for the off site treatment and disposal of contaminated water, which eliminates the often complicated process of obtaining a site-specific discharge permit. System components include gravity phase separation, filter press, pH adjustment, heavy metal floculation and settling, and carbon filtration, upon completion of treatment and confirmatory analysis, the water is discharged to the GVRD Sanitary Sewer. The discharge is monitored on a regular basis and fully permitted by the GVRD. Supply, purchase and delivery of all supplies required for startup and on-going operation including: drums, absorbents, labels, sorting tables, unloading carts, safety equipment, etc. Technical personnel to assist in the labpacking of waste at collection site, or on a scheduled basis within client’s facility. Training of client staff in topics such as HHW hazards, waste sorting, packaging, health and safety, labpack protocols, transportation and paperwork requirements. Scheduled pickup of waste from municipal or privately operated facility for recycling, treatment and disposal. Supplies such as drums and absorbents can be supplied at the same time.